Combining these three crucial pieces of the home purchasing process, First American created an index delineating the actual home-buying power that consumers have had dating back to 1991. Here is a graph comparing First American’s consumer house-buying power (blue area) to the actual median home price that year from the National Association of Realtors (yellow line). 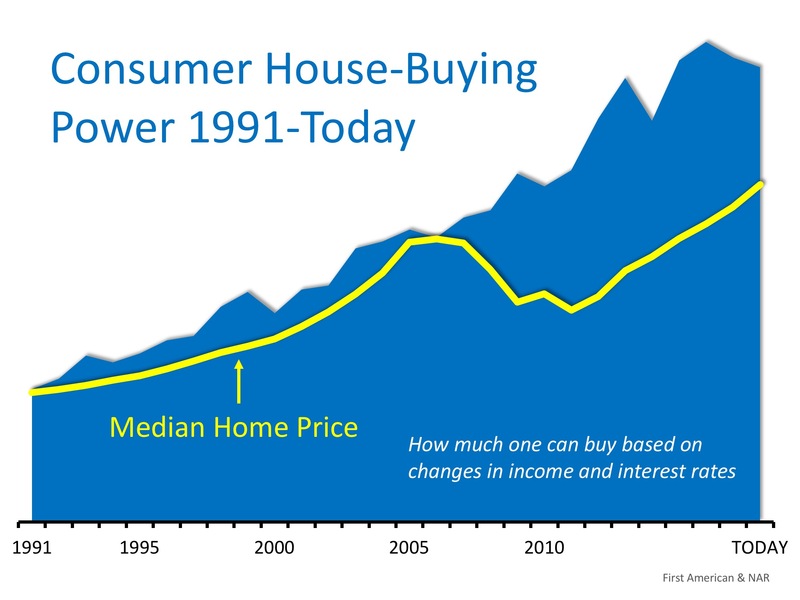 Consumer house-buyer power has been greater than the actual price of a home since 1991. And, the spread is larger over the last decade.